Find the Best Saratoga Golf! The greens are manicured, the carts are tuned up, and your favorite Saratoga golf courses are ready to tee off! 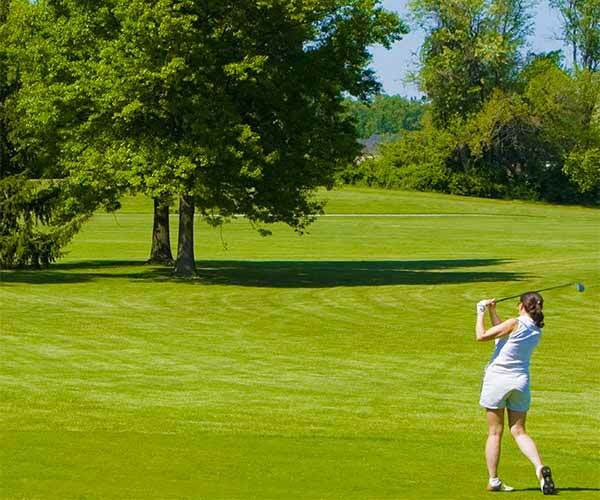 There are nearly a dozen courses within 10 miles of historic Saratoga Springs NY, including award-winning golf courses that draw avid golfers from across the nation. Saratoga National Golf Club was named in Golf Digest as being on the list of "America's 100 Greatest Public Courses" and "Best in State". Airway Meadows was named "Course of the Year" by the New York Golf Course Owners Association. courses listed here also have pro shops, restaurants, bars, and amenities to ensure you enjoy your time off the golf course as well as on. Check out our helpful golf tips, 3 season golf article, and don't forget - some of the best catering and event services in the area can be found in these fine Saratoga Golf Courses and clubs!